Frying up shrimp and linguini? Grilling a ribeye or pork chops? Pair your dish with our vast selection of red and white wine to take your evening to the next level. With hundreds of bottles of every shape and size, our knowledgeable staff is happy to help you make the right decision. From Minnesota grapes to the prestigious vineyards of Italy, our collection of wine is guaranteed to put some wind in your sails. Buying in bulk? Mix and match a case of wine for a 15% discount! As famous author Robert Louis Stevenson once quipped, “Wine is bottled poetry.” Whether you’re planning a quiet night at home or a classy wine and cheese party, a first-rate bottle of wine is guaranteed to make your night a success! 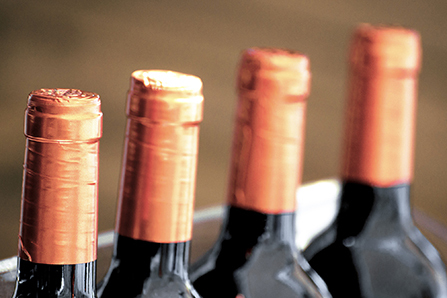 Sample our wine of the month with at least two complimentary in-store tastings!